I’m so glad the drawing challenge is back after a summer break, and am so grateful to our woolfie girl Nadine for calling this weekend’s DC: Image. What I’m trying to say actually, is that long and deep concentration is something I practice. 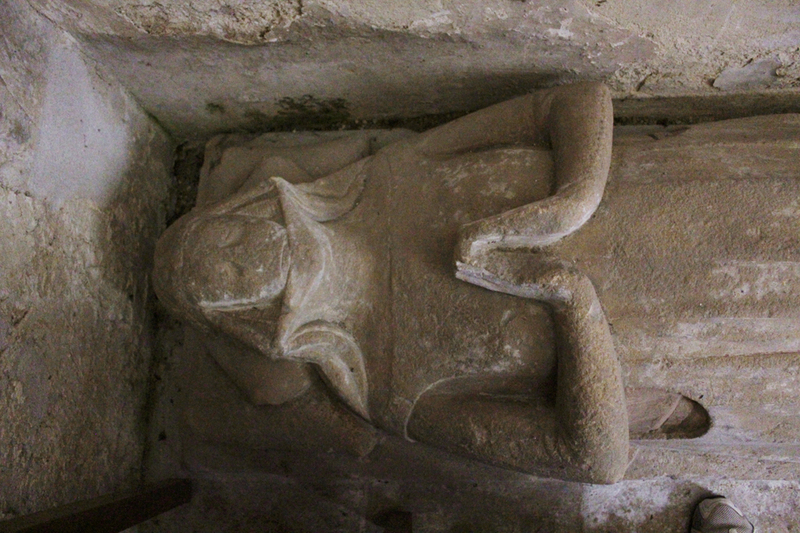 These days I’ve been concentrating on the image, or rather the lack of image, of Isabelle, the wife of the 13C Knight Templar in our village church. Not much as it turns out. 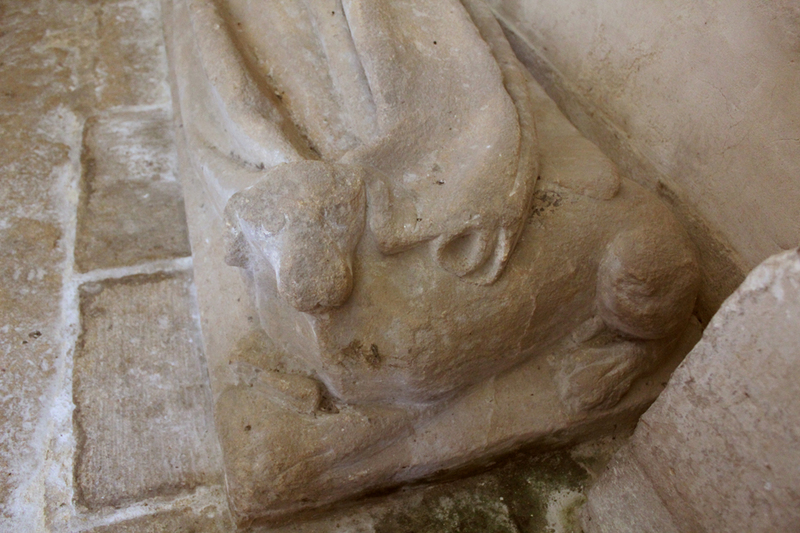 We may suspect that she wore a wimple and tunic…as her sarcophagus suggests, she probably was very pious, and she probably had a pet dog. And that’s it. The Medieval effigy is worn down thru the years, and the frescoes showing her portrait are too. So what did she look like? How many children did she have? Where and how did she live? Actually, what was her name? I have a story to tell you. My good friend, Julie, lives in the village and is a brilliant historian. She wrote the book, The Water Gypsy, a true story about a fisherman’s daughter in the early 18C, Betty Ridge, who lived right here in our village, married a viscount, and this marriage ended with grandchildren living at Blenheim palace. Now Betty, by the time she was about 40 yrs old, was a viscountess and had her portrait painted, and so we know what she looked like. Isabelle’s, if it ever existed, is lost to history. So is her name actually. I was speaking to Julie several years ago, and she said that we may never know her name. I said that we have to give her back a name and I chose Isabelle, because she looked like an Isabelle. A couple years later, Isabelle showed up in the book of the church history, and so it stands. 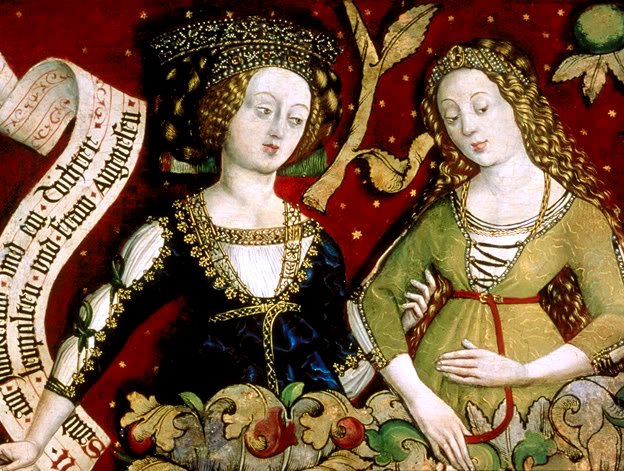 But Isabelle is lost to history, as are almost all the women prior to the Renaissance and prior to the popularity of portraiture. Last week I started a little cross stitch of Isabelle. 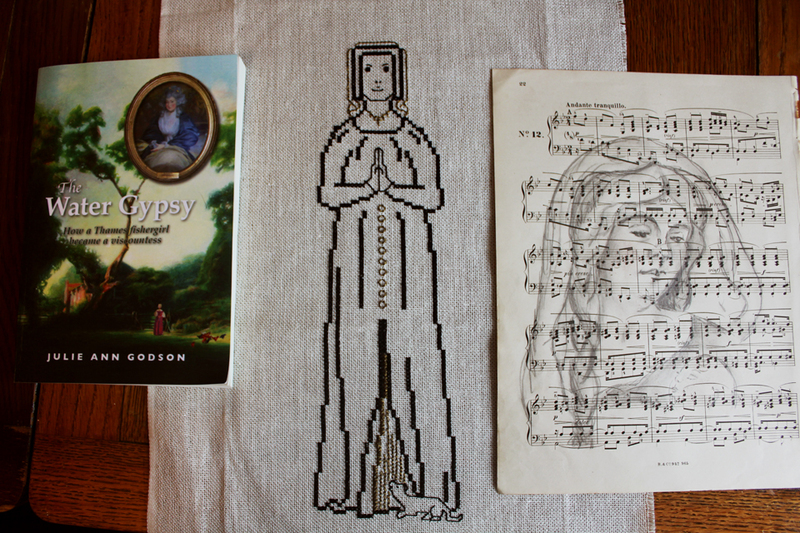 I stitched her wimple and gave her a golden veil. 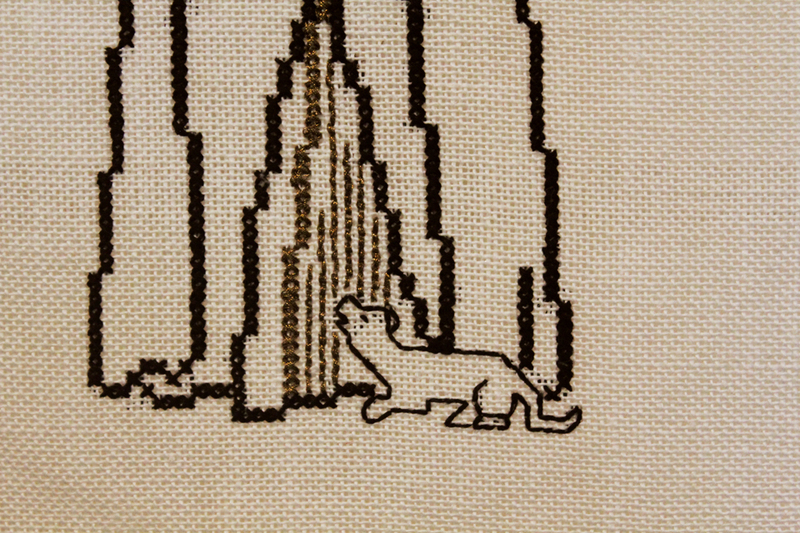 I stitched her little dog at her feet. 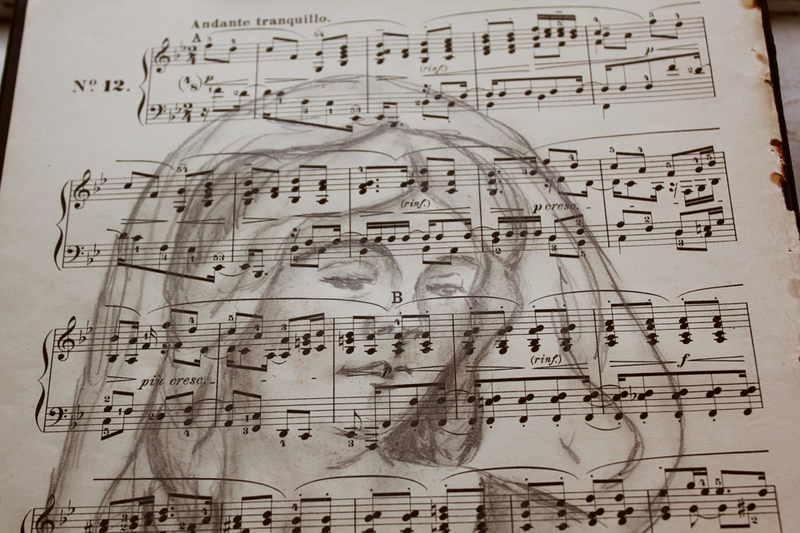 And I drew her portrait. And her reason for living. 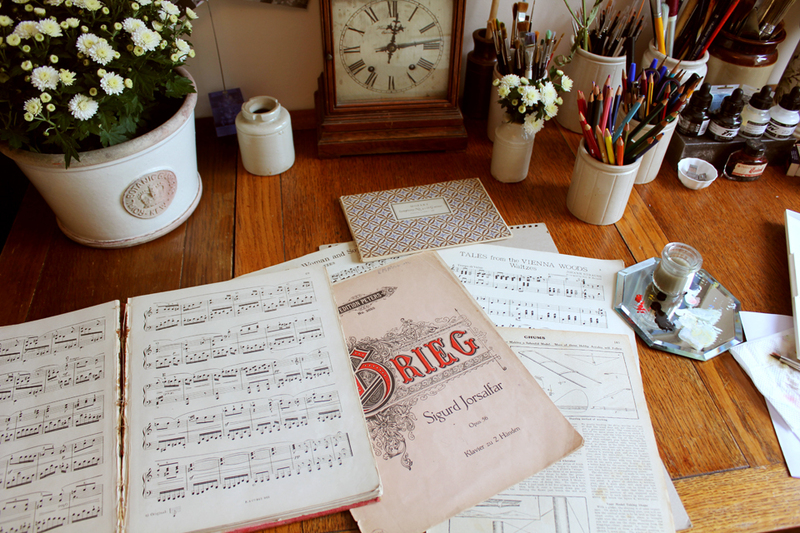 She is on a page of Grieg with the note “adante tranquille”, to walk slowly. The page starts with No 12, reflecting the century in which she lived, and the letter B is between her eyes, signifying she was not necessarily the A, the important, notable person in this pair, but do you see the notations “p cresc” and “piu cresc”? This translates as: “more, louder” and, “rinf” is rinforzando, reinforcing. 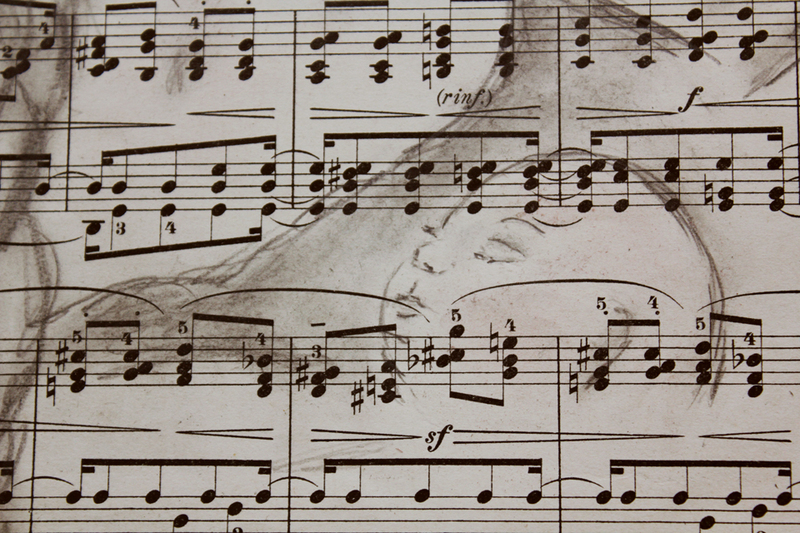 I know that many of the images are completely made up, but perhaps in some small way, the ancient music of Isabelle Moore is a little louder. Now pop over to visit Nadine and take in some more lovely images. Happy Chinese New Year everyone! Welcome fire rooster. i saw you, of course, stitching on isabelle a few days ago and am very happy you give her image homage here in this humble DC. i’ve seen how much you are taken by her image, her existence and the mystery which is naturally embracing her. we can wonder, which you do. incidentally, we buried a dear one this week, and also a pet dog, so your post really does talk to me, in volumes, let’s say. i affirm your worry about the overload and agree we have now the task to eliminate alot of drab from our vision, wel, yeah, anytime we show up anywhere. i often wonder where all this pollution will lead to, because some imagery we reign ourselves, but e.g. the advertisements we swallow… i mean, surely, we have reached saturation? apparenty not. i’m beginning to understand the value of a hermit’s life. although, not just yet! thxs for playing, v. n? Very true – images and records of women and their achievements are not as readily available as of men in history. This is lovely. I am especially interested in women’s history as in their stories we see so much of the detail and heart of life in the past. The reasons men went to war. The way they felt when they came home. The true suffering that war caused the ordinary people. What happened in households, families. What life was really like in the castle. Women’s stories hold these details. But they can be so very, very hard to find. 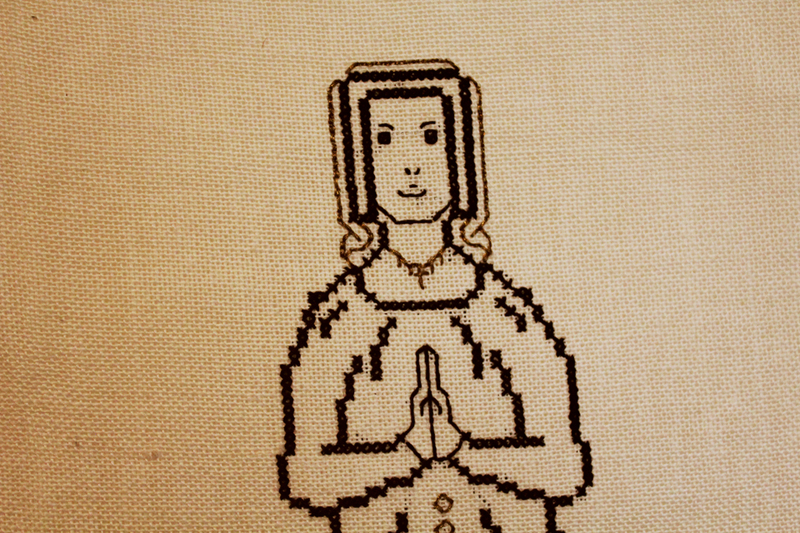 Isabelle is beautiful, both the cross stitch and the drawing. I’m amazed at your creativity. 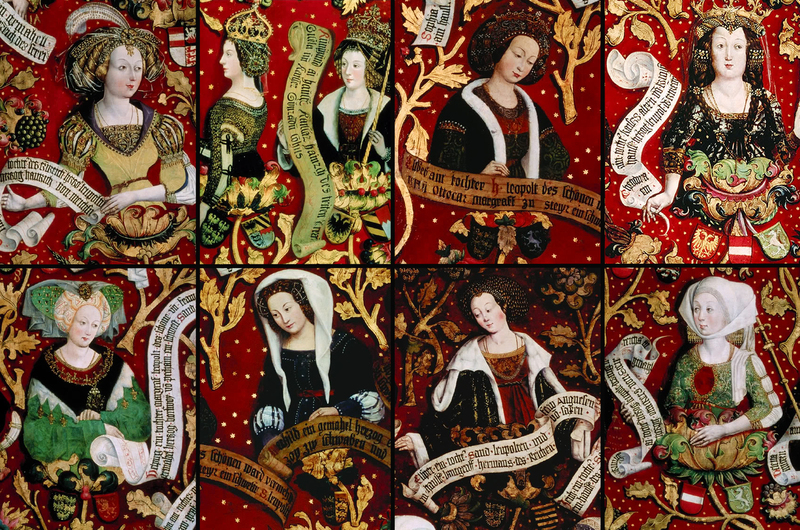 You have shared some thought-provoking information here, and it’s true that there are few images of women from medieval times and prior. Great post. and on the other hand…. i started instagram a weeks ago…. and yet i keep looking and following, and posting…. what an unusal idea for this drawing challenge or it might not be only for the dc, a wonderful and almost phantastic journey you took us with the discovery of Isabelle the unknown medial beauty with her dog and her secrets lying with her in her grave. You could easly make up a complete book about her and her story… and your stitching is so lovely and of course I’m totally in love with the little doggy. Wish you also a nice week. i love the first image and the second and the third and so on til the end! She lives again … aren’t you wonderful. What a great thing to do. 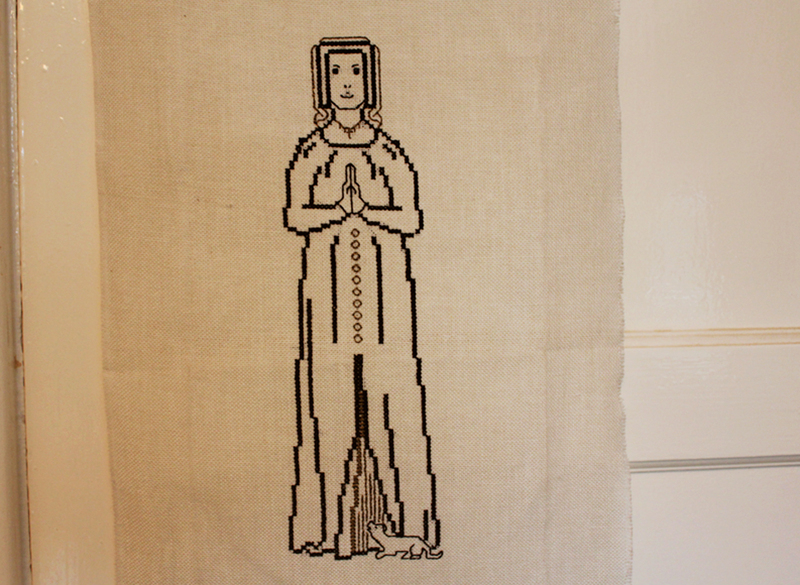 You are so clever … Just love that cross stitch Veronica with her pet pooch.